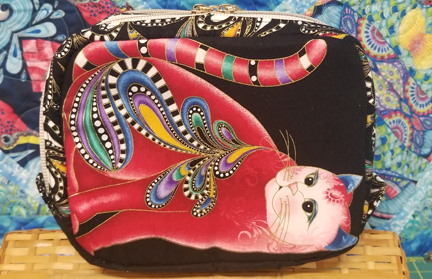 - Worldwide Quilting Day/ Saturday Breakfast Club Recap - This Saturday, March 23 - The Boss Is Away, The Mice Will Play!!! - Do We Have Some Awesome Classes Scheduled?! This Week's Newsletter Brought To You By Todd! 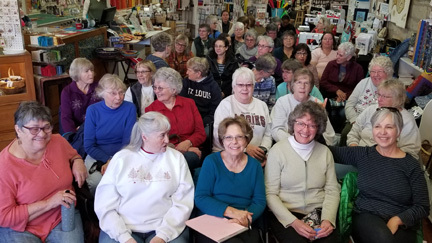 We had a HUGE turnout for our Mystery Trunk Show Hostess, Jan Shepard. 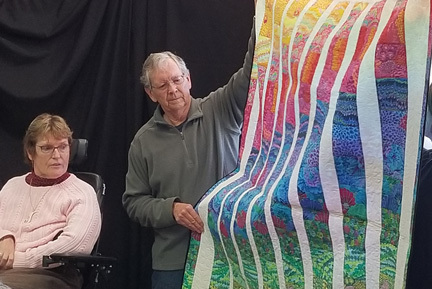 With approximately 70 people in attendance, Jan wowed us all with a wide array of quilts, both pieced and appliqued, that she has made over the years. Thank you, Jan for sharing your skills and love of quilting with us, and to all of your family for their assitance! 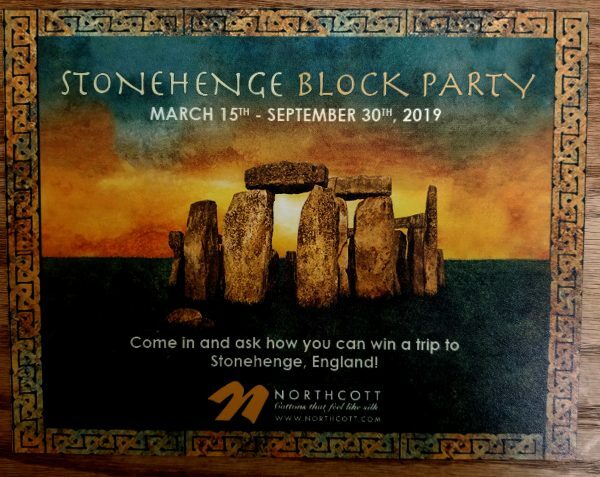 Also, our very own Brit, Judith Swain, introduced our very own Northcott Fabrics Stonehenge Block Party block to represent CQC and Cortez. Judith had the entire crowd in stitches, as she shared her experiences with British/American cultural differences. 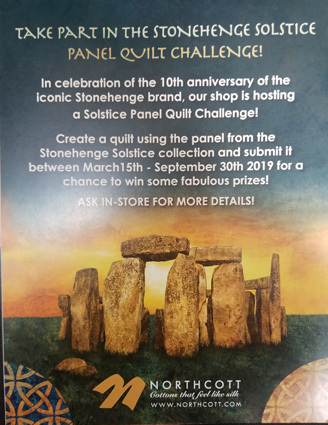 If you design a quilt and submit it by November 30 using solely Stonehenge fabrics and the Stonehenge panel, you will be entered to win a prize from CQC. 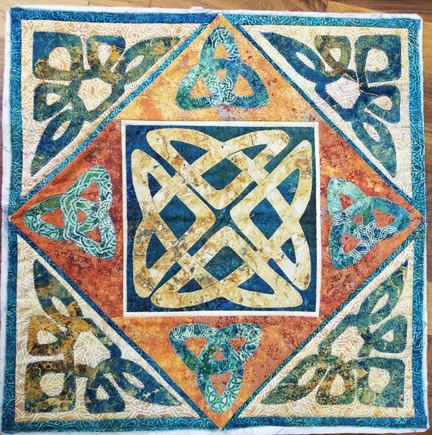 The winner will also have their quilt submitted to Northcott for consideration as one of their 10 International winners with a prize of $100 worth of Northcott fabrics. 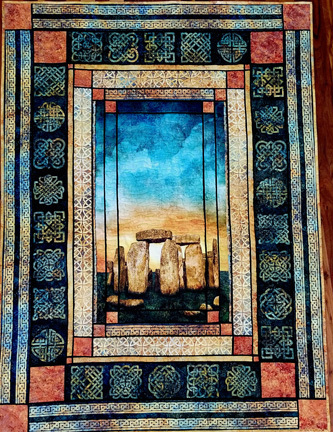 Remember, if you design a quilt utilizing at least 12 different blocks from around North America, you can win a trip for 2 to England for 9 days, including a private tour of Stonehenge! 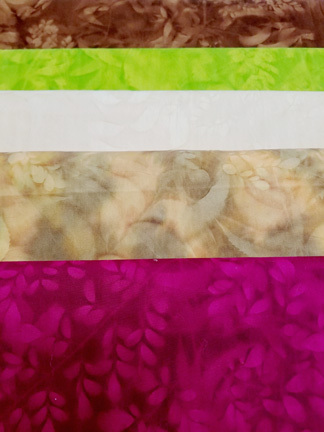 Our 18" square block is a perfect focal point for the center of your quilt design. Come pick up a kit before they are all gone! You don't even have to travel to pick up your blocks; you can order them from any participating shop. 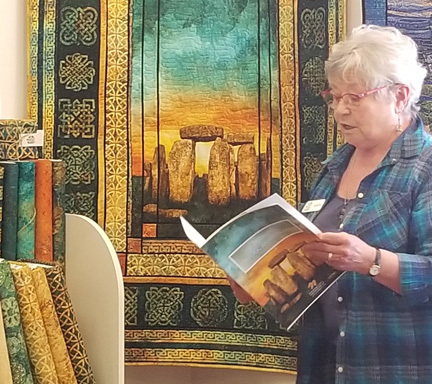 Winning quilts will go on a traveling Stonehenge Quilt Show Display. These quilts can be: wall hanging, throw, or bed quilt. At the end of the traveling display, these quilts will be returned to their owners. Below is the Stonehenge Block designed specially for CQC. Below that is the Stonehenge panel quilt that we have on display. You can make one just like it, or design your own for a chance to win. The Boss is Away, So the Mice Will Play! As you all know, we here at CQC are your embroidery experts in the Four Corners area. You also know that we aren't content to rest on our laurels, as we know you, our loyal customers, expect us to continue to challenge ourselves so that we can continue to challenge YOU! As such, it wasn't enough for us just to have OESD certified embroidery instructors, so Aimee made the trek to Logan, Utah to become a certified Kimberbell embroidery instructor. Check them out at www.kimberbelldesigns.com to see the kind of cute and fun projects available through them. May everyone join with me in wishing Aimee safe travels and a fun, relaxing learning experience. 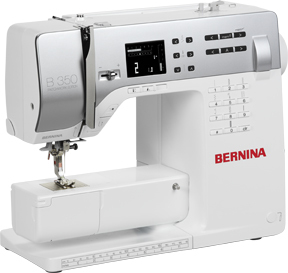 BERNINA has retired the 330 models. Our loss is your gain! 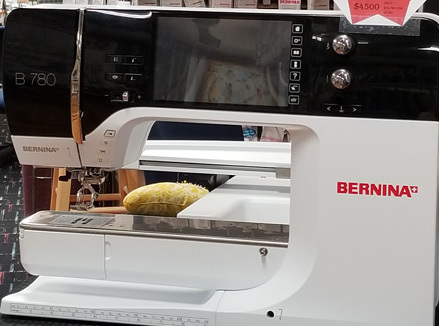 We have one new machine at closeout pricing - come in quick to pick up your new machine! 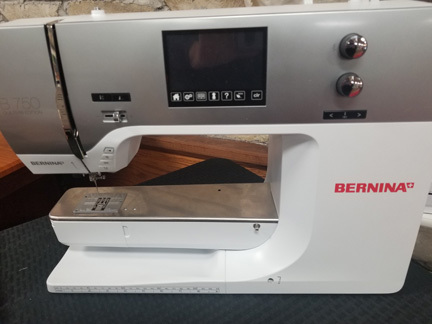 Now is also your chance to own or upgrade into a BERNINA 7 Series Model. Any previously owned machine has been thoroughly inspected and comes with a Warranty. We also make sure you attend a Mastery Class so that you know all the special qualities that your machine offers! 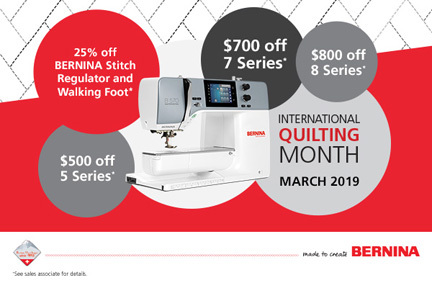 Special for International Quilting Month we have TWO 770QE machines, as well as the other great machines listed below. Specially priced at $2,500 . 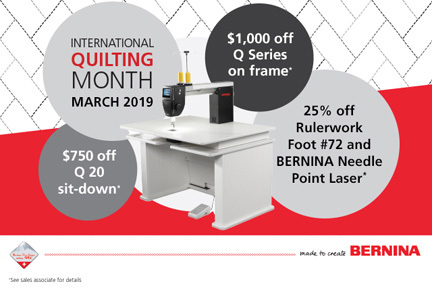 . . this 750 Quilter's Edition is just waiting to tackle all of your projects! 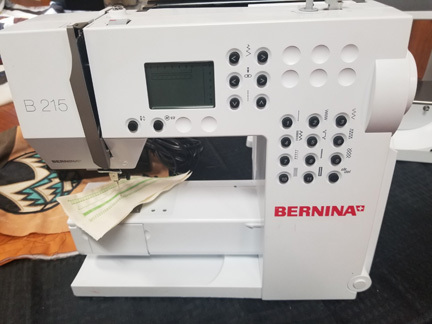 This model is a great beginner machine, or perfect if you are looking for a light weight machine to travel with. With a price at $350, you can hardly afford to pass it up! March – This topic was rescheduled to this month due to the snowstorm in February. Sandy Cressler will be showing how fun it is to add crayons and colored markers to your blocks. This technique is sure to wow you! Because last month’s meeting was cancelled due to weather, we will be covering the same topics – bird quilts, post card quilts and flower pounding. We can also discuss what our next challenge project might be. 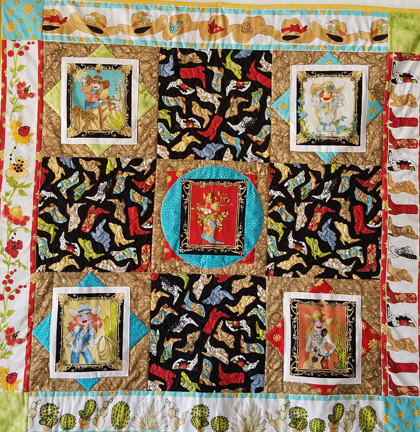 Our main focus will be our bird quilts because our hope is to have them completed by our April meeting so we can get them organized and ready for the festival in May. Please bring what you have to share with us! It has been amazing to see what has been done so far, and it serves as great inspiration for all of us! I’m hoping that some of our friends who have been away for the winter will begin coming back, and we all look forward to reconnecting and catching up. Take care, stay dry, and we will see you all on March 21st! 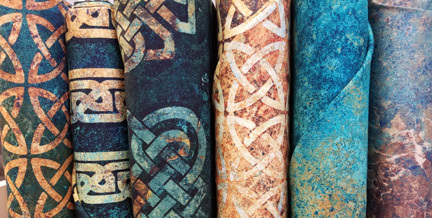 Our Stonehenge line has beautiful Celtic Knots, as well as vibrant blenders reminiscent of antique stone. 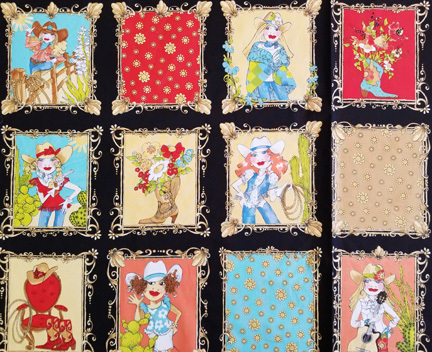 These fun and whimsical cowgirls are selling quick! 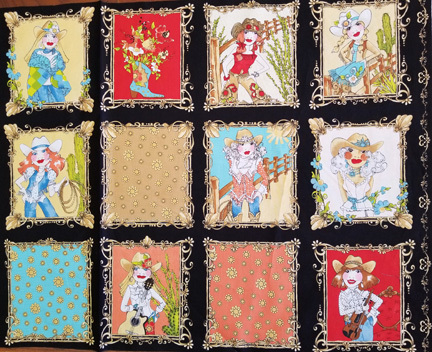 This little quilt was designed by Cassidy as a way to feature the Cowgirl spirit that is present in this fabric collection. 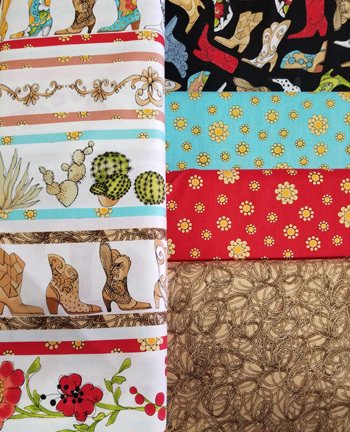 Use her design, or find another playful way to utilize these fabrics, but cowgirls don't sit still long, and neither will these fabrics. 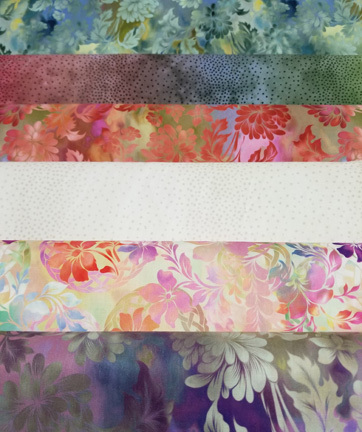 We've sold out of our previous Jason Yenter collection but, just in time, we received the Yenter Diaphonous line of spring fabrics. You won't want to miss these! 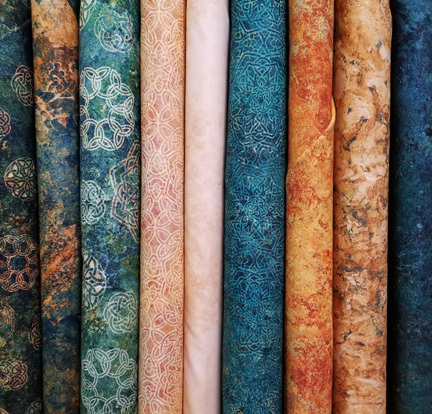 These new Sun Faded Batiks are sure to blow your mind!!! They did ours! There is only a short window in Indonesia where they are assured of enough days of sunlight that they stretch out miles of dyed fabrics, then carefully arrange leaves, flowers, shells, etc on top of the fabric and allow the sun to gently fade the dyes. You have NEVER seen fabric this unique, this original, and this beautiful! Choose on of EIGHT different packable, zippered bags in class, then go home and make the other seven! Perfect for cosmetics, toiletries, sewing items, tech gear, kid’s toys and MORE! 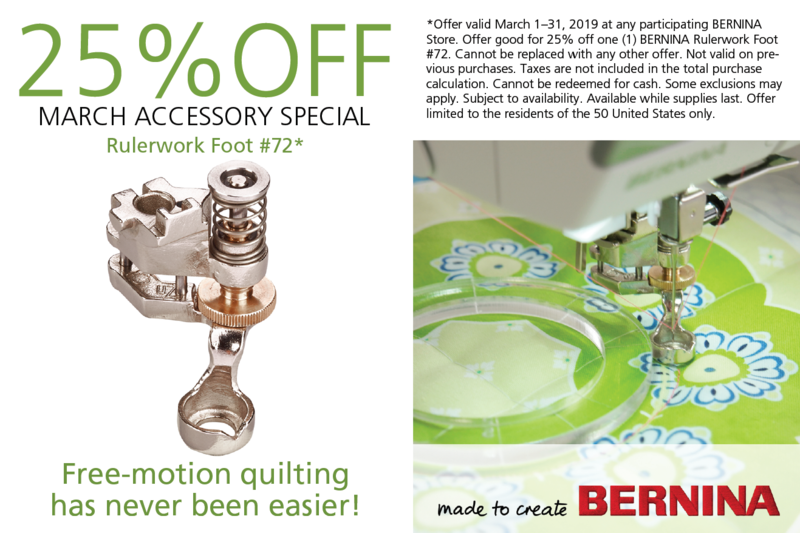 Now, fire up your BERNINA sewing machine and make things happen!